In Inside Tennis’ 2005 cover story on the 40 zaniest, most intriguing figures in tennis, the singular Ilie Nastase was our number one. After all, the man nicknamed Nasty—who once told Arthur Ashe “Negroni, tomorrow I do things on court that will turn you white”— was completely crazed. What Roger Federer is to Wimbledon, Ilie Nastase was to wackiness. Having said that, our No. 2 was none other than the lovable Oakland-born Whitney Reed, the top American player in 1961, who passed away earlier this month at the age of 82. In fact, we placed Reed—who cut his own singular path—ahead of the likes of John McEnroe, Goran Ivanisevic, Torben Ulrich, Richard Williams, Jeff Tarango and Marat Safin. 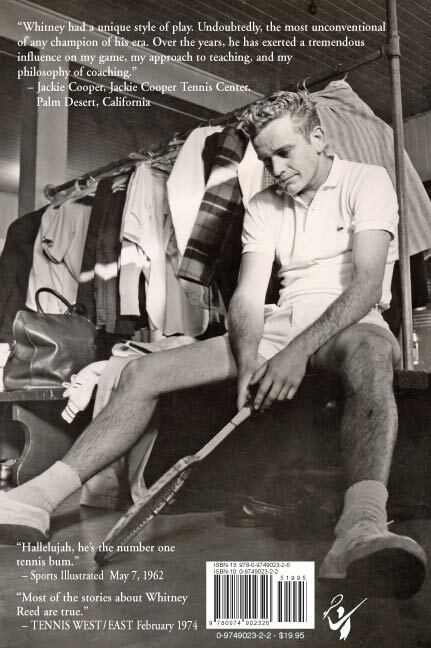 “If there’s such a thing as a tennis bum, I’m it,” Reed matter-of-factly admitted to Sports Illustrated in a characterful 1962 profile. On court, Reed’s improvisational skills—drop shot winners against players already at the net, lobs in response to lobs— confounded logic. As described in C.F. Stewart’s biography Unflappable: The Life and Times of Whitney Reed, he embodies how uniquely creative and fun tennis can be, even at the highest level. As Stewart notes, Reed would hit ‘tweeners while running towards the net, not away from it. Whitney Reed loved tennis. But his love for drink and women and gambling sometimes famously sidetracked him. Hot dogs, gin rummy, backgammon, and ping-pong were mainstays in Reed’s life, and for him, alcohol was like water—a fundamental part of an athletic diet. He wasn’t averse to drinking a pitcher of beer during a match. “I just can’t play when I’m not ‘in training’,” he once complained, after US Davis Cup captain Donald Dell made him go to bed sober the night before a match against Italy. Legend has it that Reed would often roll up to the courts in a convertible, accompanied by a good-looking woman, then change from a tux to tennis clothes and win with ease. 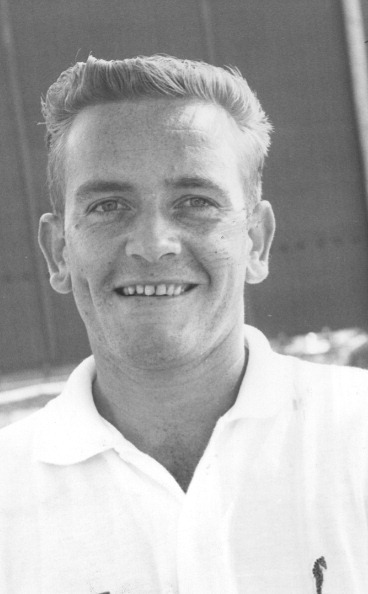 In 1959, future Davis Cup captain Dell was Reed’s opponent in the NCAA singles final. The match was scheduled at noon—in Stewart’s words, “about ten minutes after Whitney first respond[ed] to the light of day.” Shaken awake at 12:30 and told the start-time had passed, Reed asked, “Who won?” Turns out he did—officials postponed the match, and when Reed arrived, he defeated Dell in straight sets. For many years, the San Francisco city tournament had two draws, one with Reed’s name included, and one without, in case he was a no-show. As Tom Carter notes, Reed once arrived 45 minutes late to a final against Tom Brown in Carmel, asking “Was I supposed to play today?” Once again (as recounted in Lee Tyler’s Brown bio As Tom Goes By), Reed went on to win the match. “He hadn’t had anything to drink, which was unusual for Whitney,” remembers Brown, who still makes a point of calling Reed a “true sportsman” who “would never take advantage of anybody.” Devil-may-care charm may have gotten Whitney Reed off the hook time and again, but he was a good guy—Brown affectionately recounts a time when Reed spontaneously gave him and his son tickets to watch a Wimbledon final from the Players Box. And Reed cared for his tough mother in the painful final days of her life. Unflappable observes that Reed “hated to miss a party as much as he hated to lose a tennis match.” He was as capable of spending all day on the court as he was all night at the bar—in fact, he famously did both one year at Wimbledon, when a drinking binge with an old Air Force buddy blurred into an epic five-set battle against Neale Frazer. That match became a part of tennis lore before the first shot was even hit, because a disoriented Reed—having just arrived at the All-England Club bleary-eyed and racket-less—bowed in the wrong direction after walking out on court, “thus giving the Royal Box an unobstructed view of his posterior,” as Stewart puts it. “Whitney did not give a hoot for propriety,” someone observes in Reed’s biography. But by all accounts, Whitney Reed cared about people, many of whom might raise a glass in his honor today. “He was always friendly, and never said a bad word about anybody,” remarks Hennessy, echoing the many different storytellers in Stewart’s book. Bigger than life and a one-of-a-kind champion, Whitney Reed made a mark on tennis. In the end, a recurrent phrase from Unflappable holds true: Whitney was always Whitney.